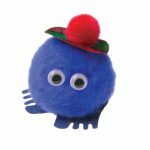 The Winnies are some sweet promotional plushes you can use for almost any kind of promotion! This scotsman winnies can be a good giveaway for Travel agencies who want to promote journeys to Scotland. 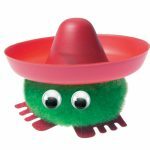 This funny Winnie with Mexican Hat is perfect to be distributed in the street to promote a new Mexican restaurant for example! Print the address of the restaurant on the ribbon and a free aperitif on presentation of the winnie! Don’t forget to print the clinic’s phone number and address on the ribbon! The healthy food Winnie can be distributed for a government’s campaign to encourage the young to eat more fresh vegetable and prevent from obesity. 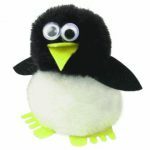 This nice penguin can be sold as a souvenir in a zoo, it can be sold to collect money for an animal defence organization, etc. The mobile phone Winnie can be used by a mobile phone company to communicate an offer, get to know a new product, etc.